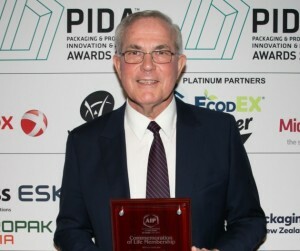 PKN Packaging News extends heartiest congratulations to well-known Australian packaging industry figure Keith Chessell on being recognised by the World Packaging Organisation with a Lifetime Achievement award. The World Packaging Organisation (WPO) has named the three winners in the Lifetime Achievement category within the WorldStar Packaging Awards 2019 programme. A panel of international judges elected Keith Chessell from Australia, Shahid Sheikh OBE from the United Kingdom, and Gillian Loubser, from South Africa. (Both Chessell and Loubser have contributed as writers to PKN Packaging News over the last decade). “The Lifetime Achievement in Packaging Award was established with the aim of acknowledging and rewarding excellence in all aspects of packaging science, technology, design and application across every country around the world,” said Pierre Pienaar, WPO president. “The discipline of packaging is one that is truly global. The World Packaging Organisation is in a unique position to identify leading practitioners from around the world who have consistently pushed the boundaries in advancing the art, science and application of packaging to serve the needs of an ever more demanding society. These prestigious awards will celebrate and preserve in perpetuity the collective achievements of these innovators,” Pienaar said. Speaking to PKN following the WPO’s announcement, Keith Chessell said he was humbled by the recognition of his life’s work in the field of packaging.